Too often, lawyers and reporters are like oil and water. “No comment” has become the phrase du jour when a microphone is in your face on the steps of the courthouse. But it doesn’t have to be like this. With a good foundation for professional relationships and some basic media relations practice, you can work with the media instead of avoiding them like the plague. Let’s start with the basic premise that people treat each other better if they have an existing relationship. The worst time to make friends is when you really need them, so make a proactive effort to get to know the reporters who are likely to cover issues related to your clients and your practice areas. This can be as simple as inviting them out for a cup of coffee to introduce yourself. You both have jobs to do, but if you can look for a way to support each other, the relationships may provide you with long-term benefits. Just remember, you’re never really off the record, so be professional. If a member of the media does ask you for an interview, there are some basic principles you can follow to manage the interview as best you can. Remember – you are never guaranteed full control or positive coverage; however, with good message management, you can dramatically improve how you are portrayed. First, figure out in advance what your purpose is for the interview. Who are you trying to reach and what do you need to communicate? Having a clear goal will keep you focused, and key messages can improve the probability that your audience will receive clear, consistent and compelling information. – Facts: Use simple and descriptive statements. – Statistics or figures: Put information into easy-to-understand or quantifiable terms. – Authorities: Quote credible, relevant third-party experts. – Stories: Share a case study, personal experience, anecdote or analogy. Questions can be the scariest part of an interview, but if you know your subject matter well, you should be able to figure out what you’re likely to be asked. After identifying potential queries, including what you’re afraid of being asked, you can arm yourself with key message-laden responses and practice delivering those answers so you can provide them smoothly when asked by the interviewer. Practice really is key to delivering a good interview. If you know in advance what you’re likely to be asked, what you want to communicate and how effectively you can communicate, you can prep for any interview just like you would prep for opening or closing statements in the courtroom. Ask someone to evaluate how clearly you speak, whether certain words are difficult for you to enunciate and whether you have any nervous behaviors, such as excessive blinking, strange hand gestures or swaying back and forth. If you’re aware of these behaviors ahead of time, you can practice correcting them. You may be in a situation where you can’t necessarily plan out when or where you’re asked for an interview, such as on the courthouse steps. However, the preparation method is the same. Think critically about what a reporter might want to cover (or ask your new reporter friends) and plan out the key messages you need to communicate and how you might answer difficult questions. Remember, “No comment” is NOT AN OPTION. At worst, let the reporter know that you can’t address that question at this time. It’s also ok to calmly walk away if a reporter is being unprofessional. What you DON’T want to do is let a reporter provoke you into making reactive or emotional response. 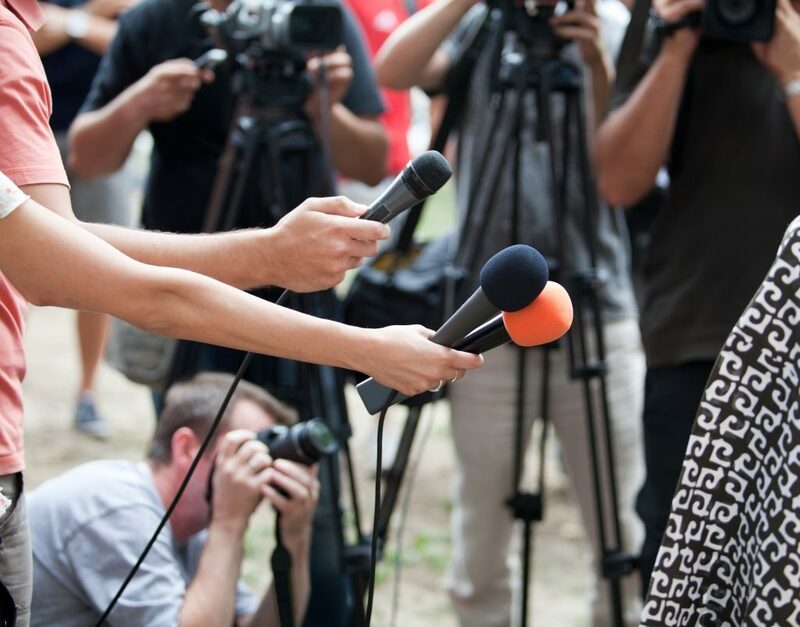 Sometimes, a good media interview can be extremely beneficial to you or your client, and at the very least, minimizing potentially negative coverage is always a good idea. Use this combination of proactive relationship building and practical preparation to begin taking the terror (or distaste) out of your interactions with the media.